The Montgomery County Commissioners Court appears to be poised to undermine the legal authority of the county attorney’s office. Out of concern for a friend who did not win the job she sought with the associated retirement benefits, the commissioners have expressed an intent to expand government by creating a redundant legal position within the sheriff’s office. According to the Conroe Courier, the sheriff’s office has asked for this position because they have not received sufficient support from the county attorney’s office. The sheriff’s request makes the same case that voters found persuasive in this recent election, namely, that changes are sorely needed in the county attorney’s office. With this action, they will be creating a struggle between the county attorney who should properly provide council and defense to the sheriff, and another attorney who will not answer to the county attorney, but instead will answer to the sheriff. Why not wait until the county attorney is in office and has a chance to make the changes he promised in his campaign? If commissioners want to help their friend find a job, they have plenty of private sector contacts and can provide references regarding her strength as an attorney. To create a new layer of government that undermines the way county government should work is wrong. 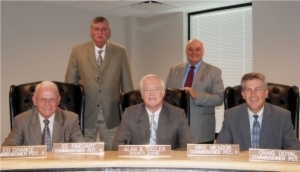 Montgomery County Commissioners Court meets next on October 8, 2012 at 9:30am at 501 North Thompson, Fourth Floor, Conroe, Texas 77301. If you think this action is a bad idea, please call them and let them know.